Hey buddy! 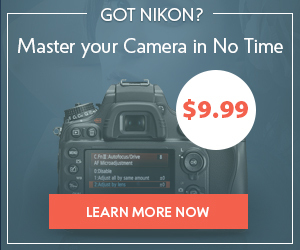 I just saw a photo of you naked! No, really.. it were you! Or maybe it’s a prank? No, it’s kind of other stuff that is called a fake photo. Let’s try to figure out what makes these photoshopped pictures a real virus. Here you’ll find a few interesting facts that can be used to show off your intelligence on the next cocktail party or to impress a potential girlfriend on the first date. The article is truly exciting and even shocking at some moments. 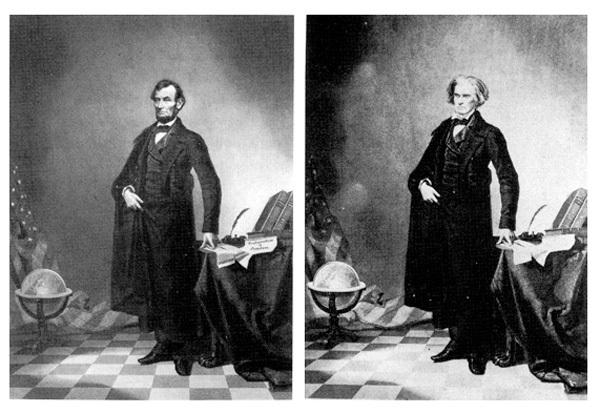 Did you know that there is someone’s else body on the portrait of Lincoln? Or that Tom Cruise knows for sure how to hang out? You will know this and much more after reading this post. History can not be changed, but it is possible to fake old photos and make people believe in something that is not true. Here are some old photos that prove this fact. Recently I came across a very interesting book with colorful photos of the Moon surface, but there is one thing, the book is dated 1885. 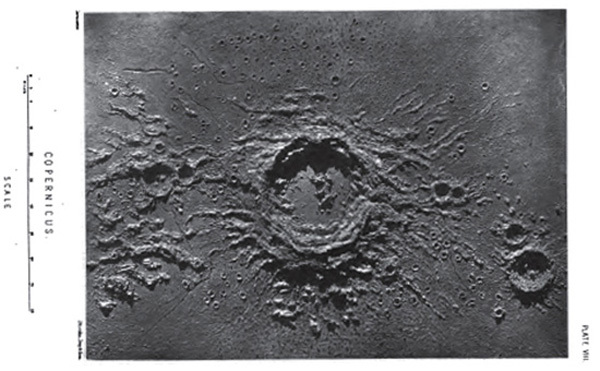 James Nasmyth, the inventor of steam hammer, and James Carpenter from the Royal Observatory in Greenwich, released an extremely successful book “The Moon: Considered as a Planet, a World, and a Satellite” that was illustrated with photographs of the incredible lunar surfaces. In fact it was impossible to make such pictures of the Moon at that time. Photographing the Moon was a very difficult task. 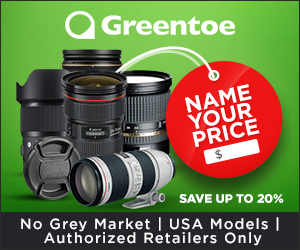 In the 19th century, when photographers just began to figure out the basics of shooting the Moon, they were limited by great distance separating them from their subject matter. In fact, only when “Apollo” landed on the surface of our satellite, people were able to make a real version of Moon photographs. So, book illustrations were a real fake. I believe you’ve seen this portrait of American President Abraham Lincoln more than once. It’s everywhere: in books, journals and schoolbooks. And also I think that you can not even imagine that it’s a composition of Linkoln’s head and John Calhoun’s body. 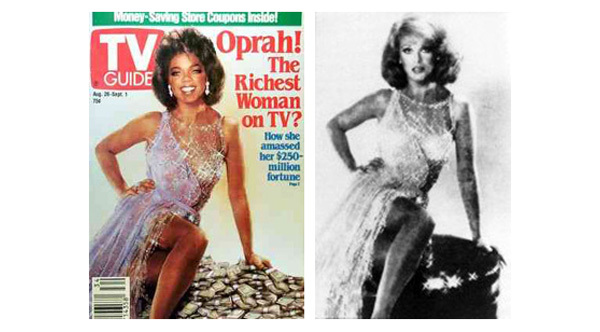 I bet if you see this magazine in a bookstore you would never believe that it’s only Oprah’s head! The body belongs to the actress Ann-Margret. But the most interesting thing is that that both of them were unaware of this picture. The deception was discovered when Ann-Margret’s fashion designer has recognized the dress. 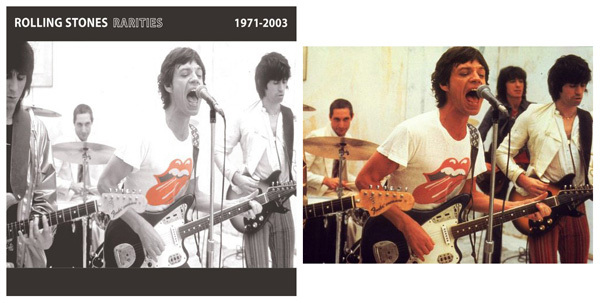 I can not imagine how offended was the bassist of a popular music band “Rolling Stones” Bill Wyman when he saw that he was digitally cut from the album cover “Rarities” 1971-2003. The fact is that bassist left the group in 1992, but the photo was taken in 1978. 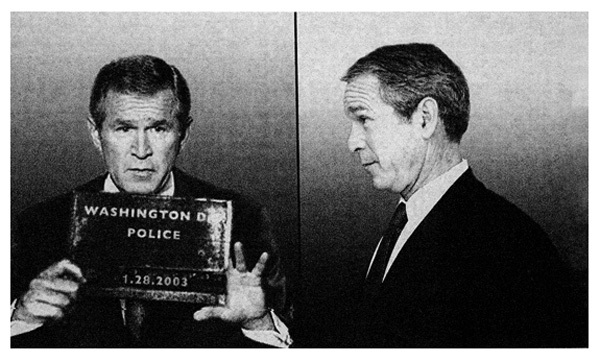 There are lots of pictures spread all over the web where George Walker Bush and members of his administration are depicted as criminals. These photos are the part of a set called “Line Up” by Artists Marshall Reese and Nora Ligorano. This is a clear protest against the war in Iraq. Can you imagine that during the Hurricane Sandy disaster Lady Liberty was washed away by a huge wave and the bloodthirsty sharks were swimming in the flooded streets? Oh God, it’s really ridiculous! It is sad that people believe in everything they see on TV and read in Internet. Probably, the news sphere is the perfect ground for fake pictures, because during Hurricane Sandy lots of fake pictures provoked a real storm in the web. This photo appeared on Facebook claiming to be a storm surge from Hurricane Sandy. Probably, you’ve already seen it. Anyway, we all know about Photoshop, don’t we? 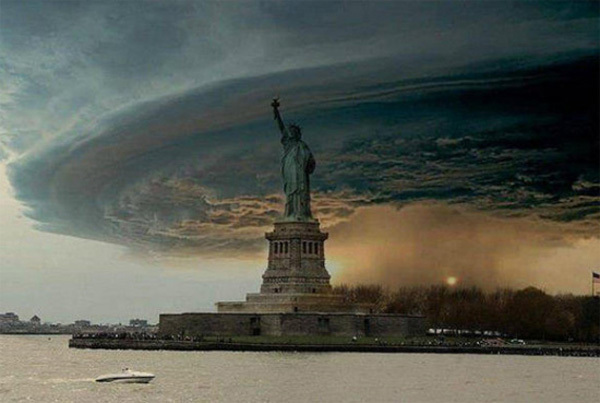 And this image of Lady Liberty and Sandy storm is not real. So, if you’re still going to share it on Facebook or Twitter, just don’t forget to mention that it’s a fake. 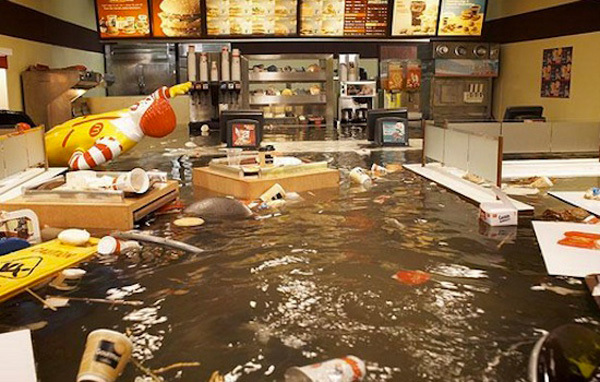 Do you remember when Hurricane Sandy photos flew around Facebook and Twitter? Lots of fake pictures confused people all around the globe. Here is one more shot from the Virginia Beach. But the fact is, this photo was originally taken in 2009. 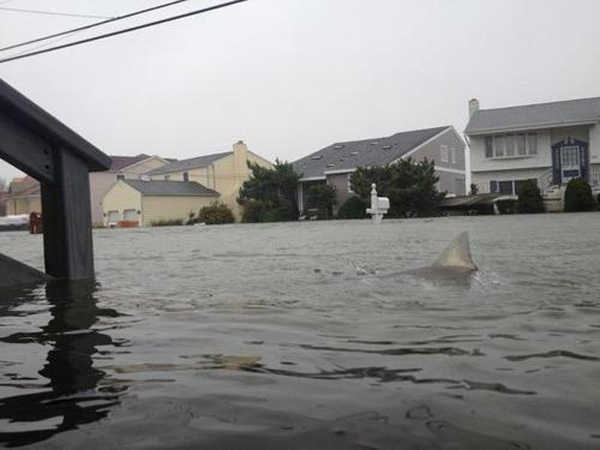 Sharks in floodwaters during Hurricane Sandy? 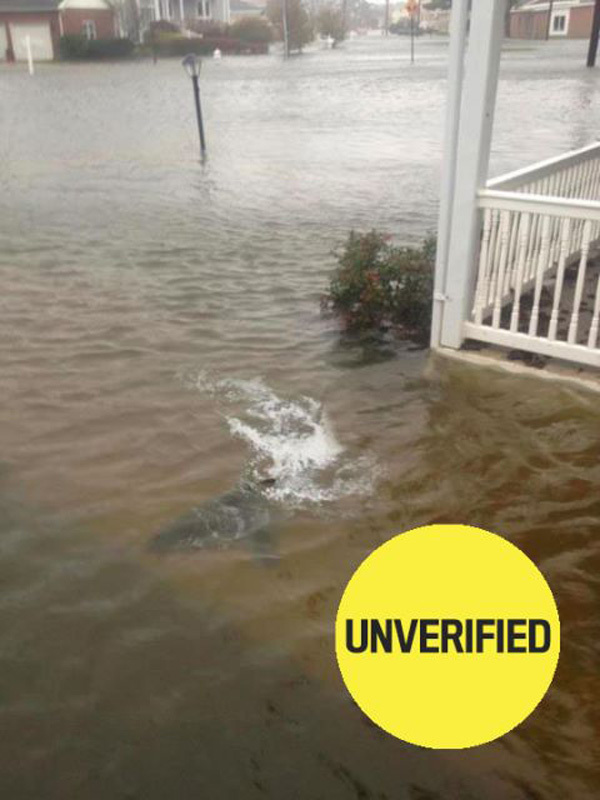 There are also plenty of pictures with sharks that are swimming along flooded streets. It’s definitely gone viral. Lots of people still think it’s real and are afraid to go out. Don’t be afraid! 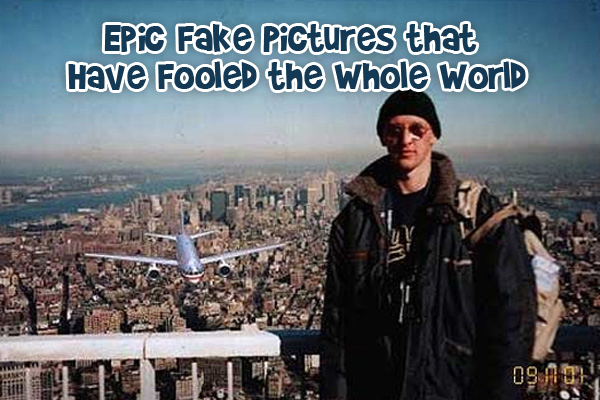 These photos are totally fake. A few tricks in Photoshop and they’re done. Somehow all the photos depicting a storm are called Hurricane Sandy now, aren’t they? 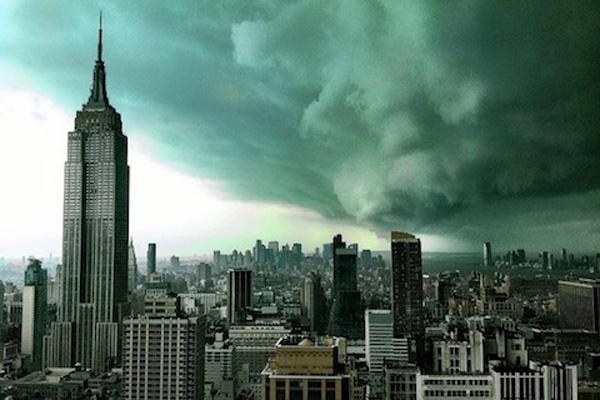 One more storm picture of New York that was called “Hurricane Sandy” on the web, but in reality was taken last year during a thunderstorm. Regarding the image of soldiers outside the Tomb of the Unknowns, it is a scene from the “Independence Day” movie. Don’t you recognize it? 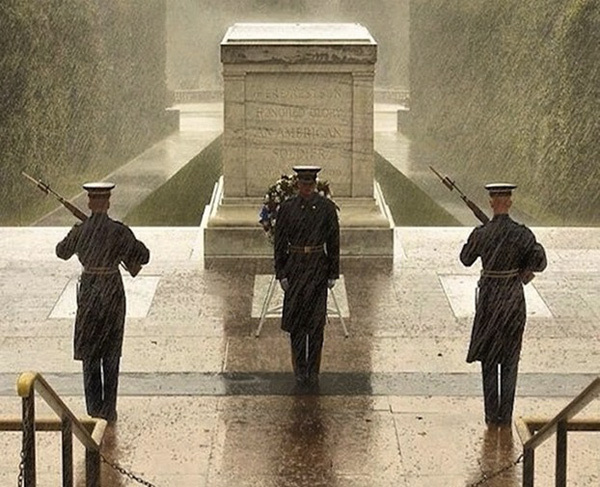 It’s a really great shot that shows the soldiers’ commitment, no matter what kind of weather is outside. But, it was not taken during Hurricane Sandy. 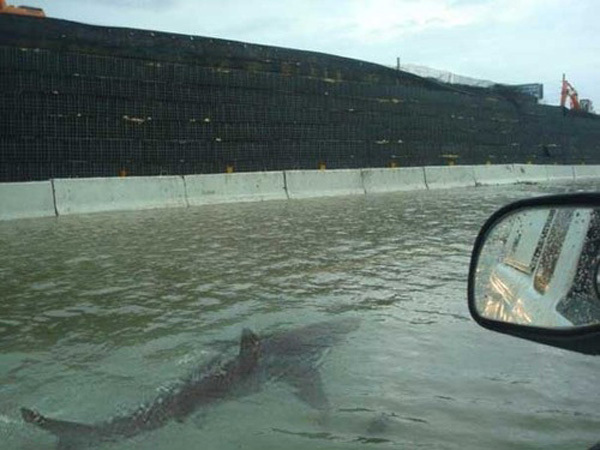 Plus one to Hurricane Sandy fake photos. Would you like to know how to troll on Facebook? 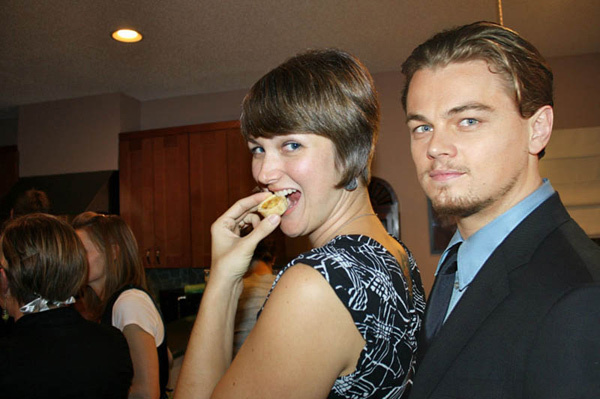 The answer is quite simple: photoshop Hollywood celebrities into your party photos. Who are your favourites? Tom Cruise or the President? Maybe you want to show a photo with Bill Murray to your friends? 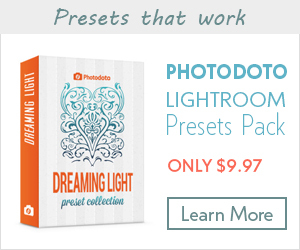 Magic graphic editor Photoshop will fulfill all your desires. Or you may ask Everett Hiller for help. Because he has launched series of party shots with celebrities that created a real storm in social media. 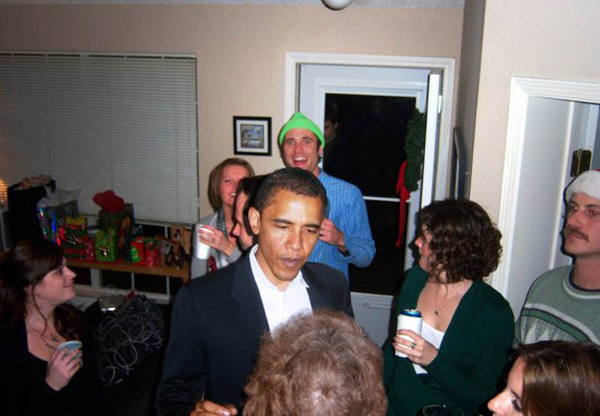 Hiller takes several source pictures of celebrities ranging from presidents to movie stars, and also takes some amateur party photos with Google Image search. I think it’s not that difficult. The results are impressing, just take a look at these pics. 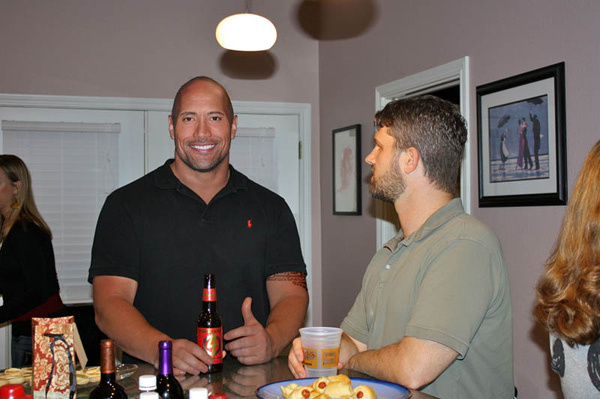 Seems like these celebrities know for sure how to party. A little more fake photos and interesting facts can be found below. The text that was accompanying this picture told a dramatic story about a mother protecting her child and a message on her cell phone. 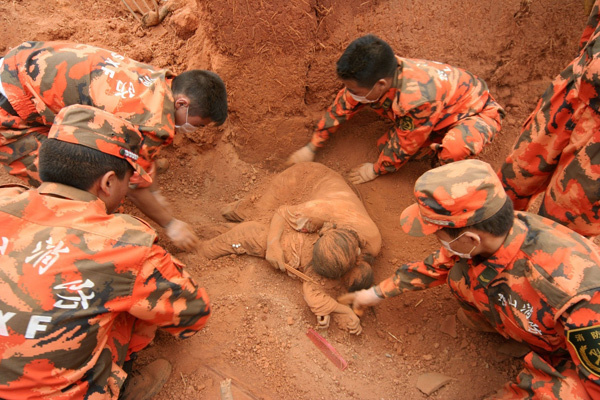 In fact, the photo is real, but it was taken 3 years earlier during the Panzhihua Earthquake in China on August 30, 2008. I always thought that the legend about Loch Ness Monster is a result of the imagination of my 80-year-old grandmother. But then I saw the picture you see below. You know the thing on the image as Nessie. It has caught the imagination of the scientists and dreamers, curious children and adults, and many more. Wikipedia can tell you a lot about Nessie, I’m not going to push on you. But still it’s very interesting to see how this myth has been shaped over the years. It’s a quite cunning and sophisticated trick of marketers that wanted to draw people to Scotland. I don’t think they managed to do it, but Loch Ness Monster legend is definitely known all over the globe. 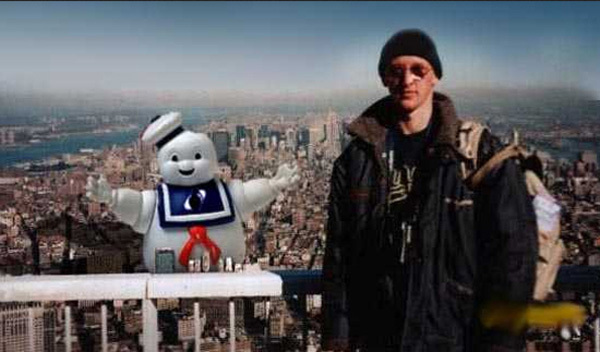 The man on this picture was named “a tourist guy”. 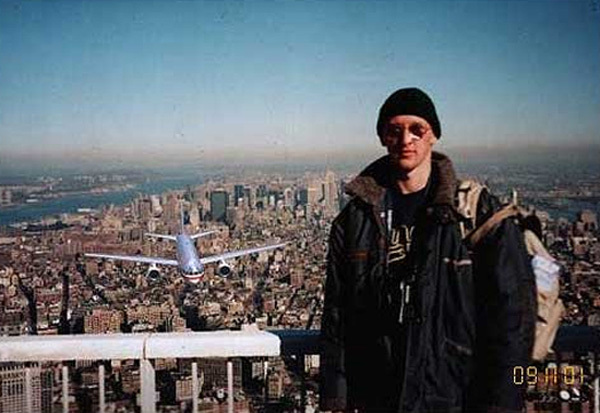 It claimed to be taken before Twin tower attack. Not too smart. Of course, it’s a photoshopped image. You might add a clown there as well, but it would be just as inappropriate as to distort actual events. Here is a great example. This photo appeared in New York in 2001 with a stating that an Israeli policeman has beaten an Arab. But it turned out that the blooded man in an image was a Jew who was attacked by Arabs and was saved by a policeman. In spite of this, there are some people who still believe the made-up story even after 11 years have passed. Ironically, this photo turned in support of Israel, when the Arabs tried to kill their compatriot. 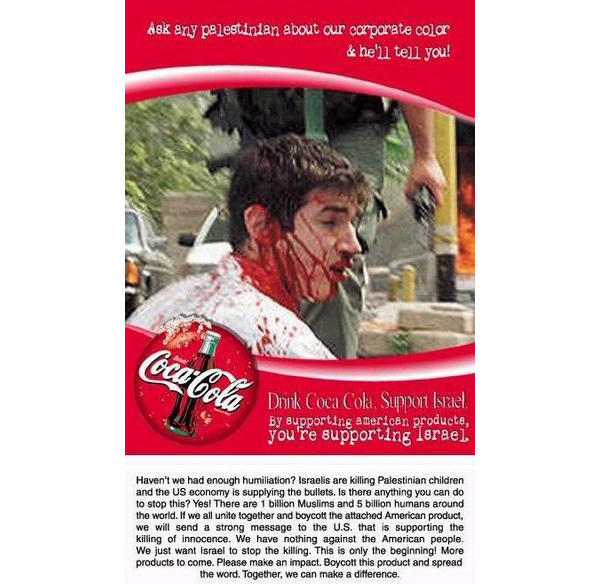 For example, this image was used by propaganda suggesting people to stop buying Coca Cola. The brand red color of Coca Cola is a color of blood. Looks like something from a horror movie. Do not believe in everything that is written in the Internet, even if it is confirmed by photographs. 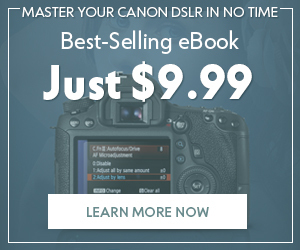 Photoshop experts can easily fool you, so do not let it happen. People who have spotted fake photographs are still wanted. 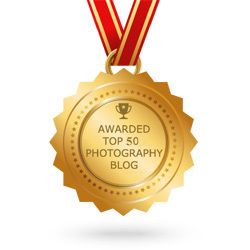 So, if you have some photos to share, tell us in a comment section below!